Nostalgia for Infinity... A perfect name for a starship to explore the outermost reaches of "Galactic North"
This collection of large-scale stories (with three original story publications) positively oozes light years, strands of stars and latticework of nebulas - magnificently, it drips down clusters of insanely huge machinery locked in unknown, tremendous struggle, the likes of which we would never comprehend. In other words, it's the best collection of "new space opera"/ space adventure material to come out in a long while. Highly recommended. The Greenfly Machines - terraforming gone bad! - devour the larger part of our Galaxy, while a group of unlikely survivors observes the event with minimal interest: they are more compelled to chase each other across light years and millennia, driven by an all consuming lust for revenge. 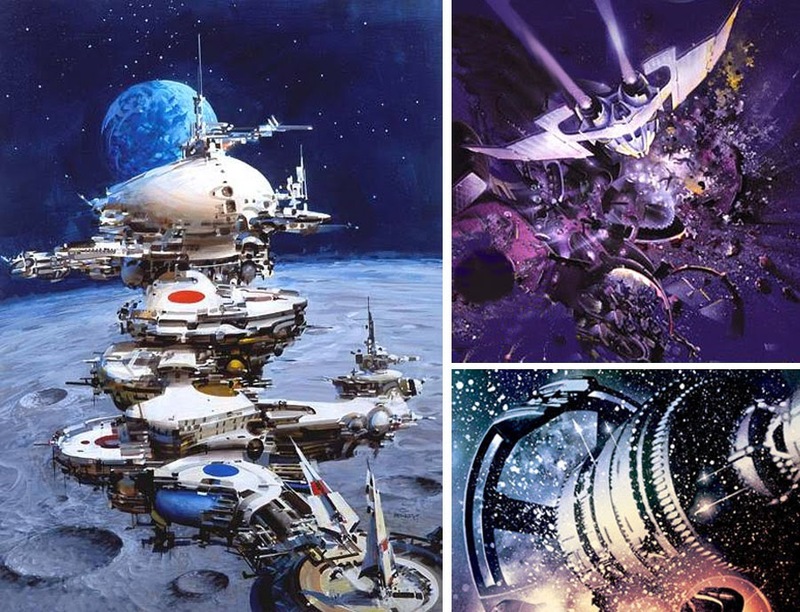 Their characters are superficial, shallow to the point of being shadows; they are immaterial players in a larger cosmological farce, or rather a tragedy, of the Ultimate Futility of It All played on a "space opera" stage. The sense of time/space progression is unfailingly vast, imparted unto a reader with a vacuum-cold, neutron-heavy touch of a ruthless and skillful writer. The Universe-spanning vistas in "Galactic North" are comparable to Isaac Asimov's story "Last Question", or to Olaf Stapledon's visions of phantom stellar civilizations. 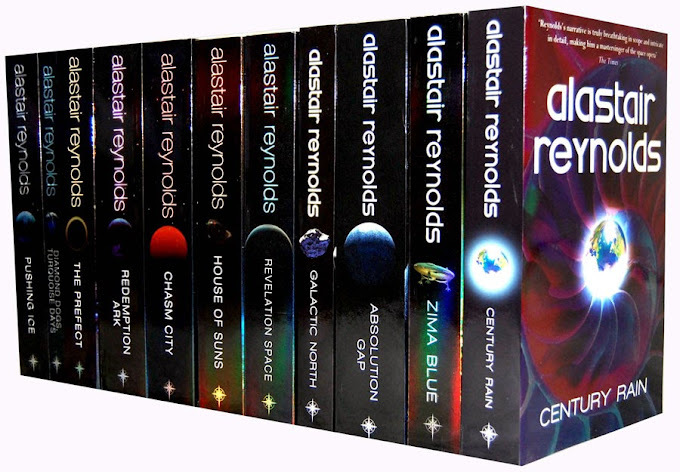 Reynolds pulls out all the stops and achieves mind-boggling results, which are nevertheless nested deeply in his "Revelation Space" universe (thus, "Galactic North" provides a much-needed sense of perspective to the whole series). The bit about space piracy in the story's beginning is pretty dramatic in itself, and serves the same purpose: to inflame titanic emotions, capable of burning their carnal fires through multitude of incarnations and across limitless time and space. Like someone said, "Reynolds is gazing into Infinity here". Yes, and he does not flinch a bit - but then again, this is purely imaginary infinity, a tame fictional thing.